As a non-profit foundation, whose staff members all work voluntarily, T.E.S. 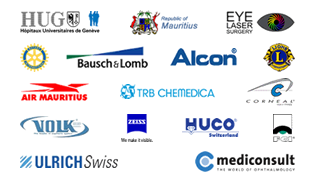 maintains extremely low overheads: all contributions and donations are used to support teaching and technology transfer programmes, as well as for the purchase of medical equipment and instruments.Contributions to fulfil T.E.S.’s mission are always gratefully accepted. 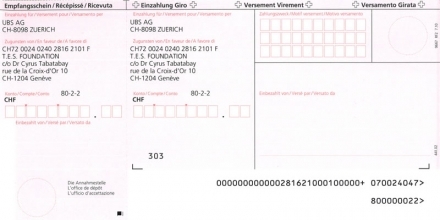 For Swiss residents, contributions and donations are tax-deductible as per the provisions of federal and cantonal fiscal laws. Use Paypal to donate online securely with your credit card. Please note that, for Swiss residents, contributions and donations are tax-deductible as per the provisions of federal and cantonal fiscal laws.